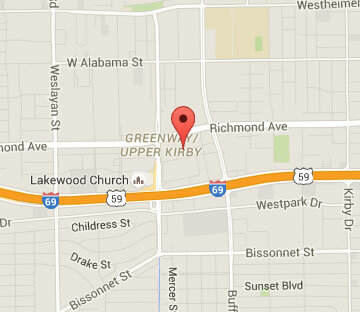 Action Communication Technology serves a large customer base in the Greenway Plaza area of Houston, Texas. Our cost-effective and highly reliable phone systems sales, service and installation products are available to businesses of all sizes. Communication links your business to the outside world. It is the bridge between your employees, customers, vendors, prospects, and other associates. Do your staff members spend valuable time playing phone tag with callers? Have you encountered frustrated clients who complain they sat on hold too long or were redirected to the wrong department? Do staff members receive messages and critical information in time to act upon it? Businesses of all sizes and across all industries are scrambling to implement state-of-the-art phone systems that fully integrate with other business applications. These systems streamline business operations as well and simplify and enhance control.  The experts at Action Communication offer a full suite of the latest in business phone systems and equipment as well a cabling services across all platforms. Our certified, experienced team of engineers and technicians will partner with you to discuss the communication issues and needs of your organization. Once we have a complete understanding of your current and future business goals, we can begin the process of developing a customized solution that addresses these needs and fits your budget. We will assess and evaluate your company’s cabling infrastructure as well as design a business communication system, including equipment options, that fit your particular business model. Our goal is to deliver a customized, fully integrated system solution that enhances operational efficiency and streamlines business routines. We provide the latest in voice, data, video, and cabling technologies. Whether it’s a standard digital phone system or a newer IP or cloud-based solution, we have the know-how and expertise to take your project from start to finish. Our solutions allow for easy expansion to address business growth and future technology needs. Our fully integrated solutions can include things like sophisticated video surveillance and overhead paging systems. Our experts also develop custom business applications that allow seamless communication across mobile device platforms. At Action, we have it all and it’s all designed to make your business better.